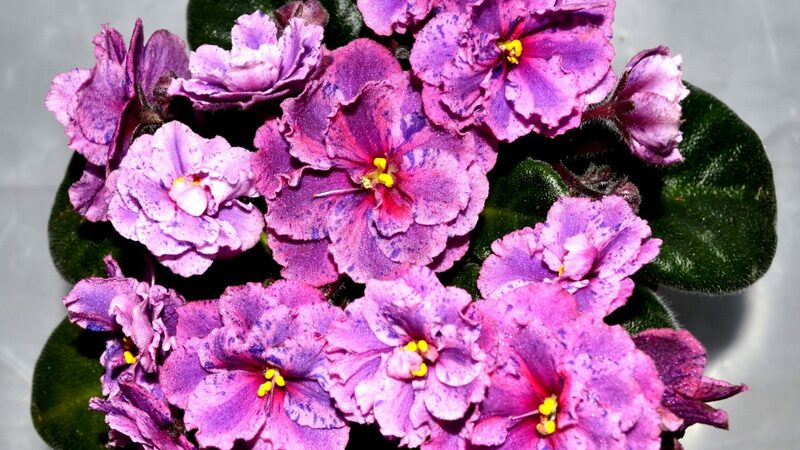 These are a few general points on how to grow /maintain African Violet plants. Equal parts peat moss + perlite or vermiculite. If wick watering, add more perlite. For more details on soil, refer to my earlier blog: “African Violet Soil”. Watering: Add water from side of pot or into dish/tray/saucer/container the pot is sitting in. 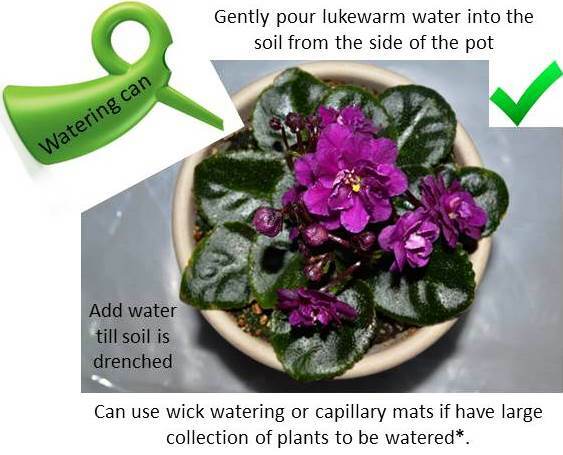 How To Water African Violet Plants? *Will discuss wick watering or capillary matting in another blog article. 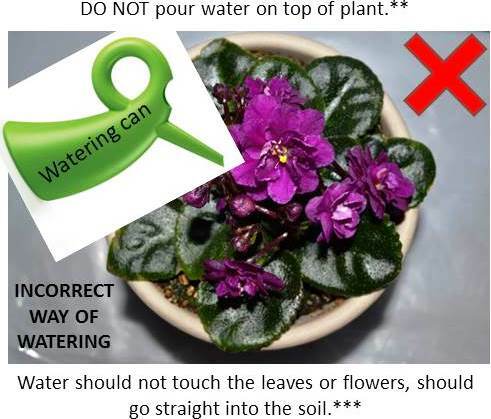 ** If you are planning to clean / wash the plant, then it’s fine to gently shower the plant. After pouring water, make sure to wipe clean all the water from the surface of the leaves. Do not allow pools of water to sit on the top of the leaves or in the crown area. Once the water has been cleaned off, allow the plant to air dry away from direct sunlight. ***While watering, if water does splash onto the leaves, then immediately wipe the water away and clean the leaf of any water residue. After the plant has been watered, remember to remove any excess water from the dish / saucer, do not let the plant sit in water overnight. Once the soil is moist and drenched in water, empty the water from the dish/saucer the pot is sitting in.